For my latest column in The Knockturnal, I wrote about a simple, flourless cookie with only one source of fat: pecans finely ground into a buttery paste. 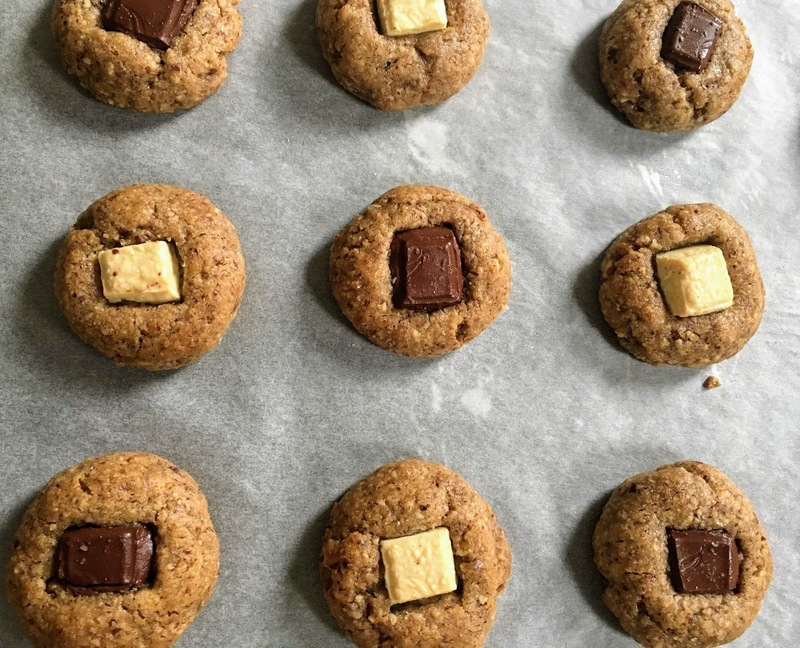 I had come across a recipe for three-ingredient peanut butter cookies online, and wondered how a butter-and-oil-free cookie would taste with a less conventional nut butter, such as pecan or walnut. The latter was too bitter, but pecans were just right, lending an earthy flavor that works perfectly with brown sugar, sea salt, and dark and white chocolate chunks. Read more in The Knockturnal.